When it comes to saving money on the hardware you buy for your products, the mainstream thing to do is send out a package of parts to quote—hoping that some supplier will save you a few percent on the piece price. In most scenarios, that’s the best you can hope for: a few percent. And it is unlikely that a few percent will stand the test of time—especially given the inflationary pressures of material markets, tariffs, and the unpredictable manufacturing environment in high-growth regions. If you want to put up big cost savings numbers, you need to think differently about how you approach your costs. That’s where a fastener engineer comes in. Since fasteners and “c” commodities are the least expensive parts in most designs, many engineers spend little time trying to find the lowest cost fastener for an assembly. That’s why Field engineers see many prints and specifications that have unnecessary features on fasteners that make them more expensive and carry a longer lead time. Trained fastening engineers have an eye for identifying parts that are close to industry standards, and working to understand if one can be used instead of a specially designed part. When you can use a standard part instead of a special one, the piece price and lead time often reduce dramatically. Unless you regularly scour your list of purchased hardware and work with every design engineer to check on the parts being put into assemblies, you probably have parts that don’t need to be separate parts. A fastening engineer combs through your list of parts to find either duplicate parts with different SKUs or similar parts that can be merged into one. Not only can the combined volume yield lower piece price, but the elimination of an SKU can save you costs for the long run. If you’ve ever had to reduce your budget at home, you know that the simplest way to cut costs is to simply stop buying things you don’t need. 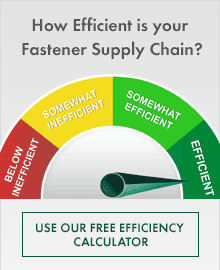 A fastening engineer will approach cost savings the same way. They will look at parts that can be eliminated from assemblies, and present supporting data to help you take that part out of your spend entirely. The more narrow your focus, the smaller your savings. A fastening engineer doesn’t focus merely on the fastener, but rather, on the fastening—on how the part is used to hold together the product. That includes a focus on how efficiently and effectively the part gets installed in the assembly. Many customers are amazed to find just how much scrap and rework due to using the wrong part or the wrong installation process is causing them. In many cases, those costs can meet or exceed the costs of the part itself. That’s how Field can save you about 4 times as much through engineering than by merely quoting the same parts you always quote. Our engineers focus on the entire process surrounding how fasteners and “c” commodities are used in the product. That includes the other (often higher cost) components that fasteners join. Our products go into expensive castings, stampings, and molded parts. Many of our engineering projects have helped to eliminate holes, secondary operations, and machining of high-value parts. As a result, we have helped reduce the price and lead time of things like castings and stampings for our customers. Here at Field, we approach cost savings differently, and because of that, we help our customers put up bigger, longer-lasting cost savings numbers. Our approach is different because we harness the power of engineering to change the way our customers’ products are made. If you are not getting fastening support from your current supplier, it’s time to ask. 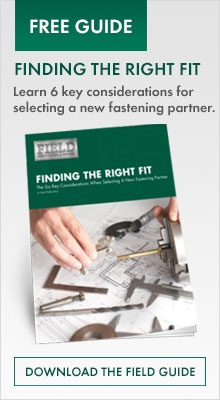 If your current supplier doesn’t have engineering support, it’s time to find a new fastener supplier. The next time you are being beat up to find cost savings, remember that implementing the assistance of a supplier who provides technical cost savings through an engineering approach, will yield significantly more cost savings opportunities than looking at piece price alone.